All in all, literature was not so widespread as in the following century, since paper was still quite expensive, see cheap paper. Literature of the 18th century refers to world literature produced during the 18th century. The 18th century saw the development of the modern novel as literary genre, in fact many candidates for the first novel in English date from this period. Subgenres of the novel during the 18th century were the epistolary novel, the sentimental novel, "histories", the gothic novel and the libertine novel. 18th Century Europe started in the Age of Enlightenment and gradually moved towards Romanticism. In the visual arts, it was the period of Neoclassicism. Although the modern novel as literary genre solidified, literacy rates were still very low as there was no primary education for the common man. 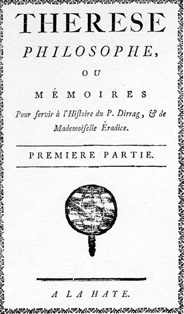 As Resa L. Dudovitz notes in The Myth of Superwoman, "a novel which sold well in the eighteenth century - and even the most successful book rarely sold more than a few thousand copies - did so within a fairly closed circle of readers, many of whom as writers also participated in deciding the prevailing criteria of literary excellence, [...], by the mid-nineteenth century cheaper editions and improved access to reading material through subscriptions and in France, through reading rooms, pushed sales of a popular novel as high as 10,000 copies. Although critics continued to function as the arbiters of taste, the critical elite could no longer claim literature to be their exclusive property." The English novel became a popular form in the 18th century, with Daniel Defoe's Robinson Crusoe (1719) and Samuel Richardson's Pamela (1740). Another very popular form was the Gothic novel (The Castle of Otranto, 1764) and its European equivalents the roman noir in France and the Schauerroman in Germany. Early European bestsellers were Julie, or the New Heloise by Rousseau and The Sorrows of Young Werther by Goethe. There was already literature of subversion such as that from Voltaire and Sade and other libertine writers. In the United Kingdom there was the renegade publisher Edmund Curll known for his radical pamphlets and bawdy books. A good introduction to this period, one which describes the popular literature of that era in France very well, is The Forbidden Best-Sellers of Pre-Revolutionary France. In the United Kingdom there was the renegade publisher Edmund Curll known for his radical pamphlets and bawdy books. 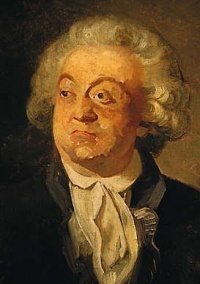 In the rest of Europe there was Pierre Marteau, used as a collective pseudonym by publishers who wished to stay anonymous. See anonymity in publishing. The 18th century in Europe was The Age of Enlightenment and literature explored themes of social upheaval, reversals of personal status, political satire, geographical exploration and the comparison between the supposed natural state of man and the supposed civilized state of man. Edmund Burke, in his A Vindication of Natural Society (1757), says: "The Fabrick of Superstition has in this our Age and Nation received much ruder Shocks than it had ever felt before; and through the Chinks and Breaches of our Prison, we see such Glimmerings of Light, and feel such refreshing Airs of Liberty, as daily raise our Ardor for more"
Unless indicated otherwise, the text in this article is either based on Wikipedia article "18th century in literature" or another language Wikipedia page thereof used under the terms of the GNU Free Documentation License; or on original research by Jahsonic and friends. See Art and Popular Culture's copyright notice. This page has been accessed 10,073 times.